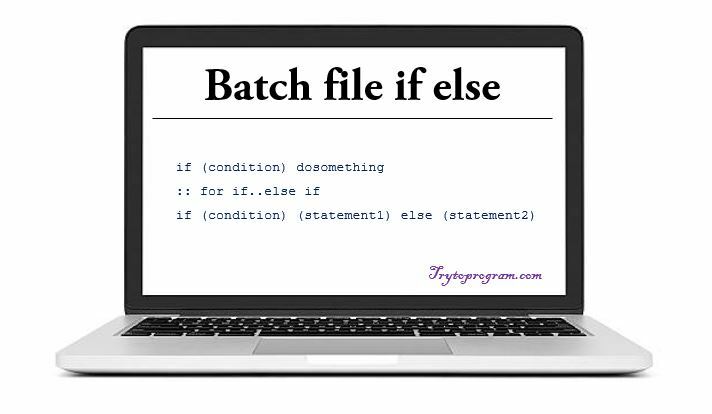 Batch File If Else - How to use if else in batch file programming? In this tutorial, you will learn about decision making structures that are the batch file if else statements. Basically programming logic is all about True (1) or False (0). Like any other programming language, batch file if else statements facilitate us to make a decision between true/false or multiple options by imposing a particular condition. So, as the syntax signifies, first a condition is checked and if true, the corresponding statements are executed in the batch file if statement. As for batch file if else, first a condition of if statement is checked and if true, the statement1 is executed else statement2 is executed. 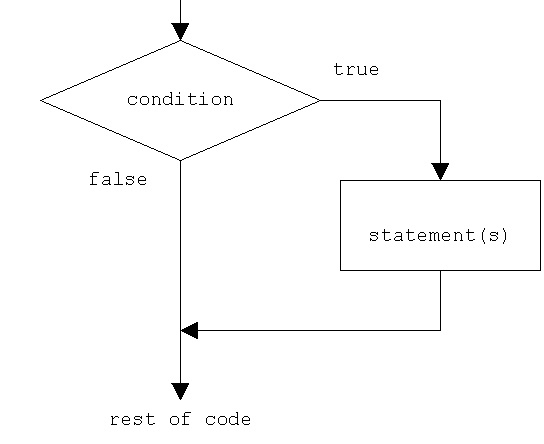 Here is a flowchart to highlight the concept of if else statement. Now that we have known about how batch file if else works, let’s go through some examples. To know in depth and details about batch file variables, go through this article. Now this will generate following output. Either way, it will set var to 'Hello' as it is not defined previously. EXIST command is used to check if a file exists or not. Read this article to know details of EXIST and all the other batch file commands. Now, let’s assume we have "abc.txt" in D drive and "xyz.txt" doesn’t exist in D: , then it will generate following output. So, that’s all about batch file if else statements. We hope you didn’t have a hard time learning about it and hopefully, by this time, you will know how to use if else in batch file scripting.